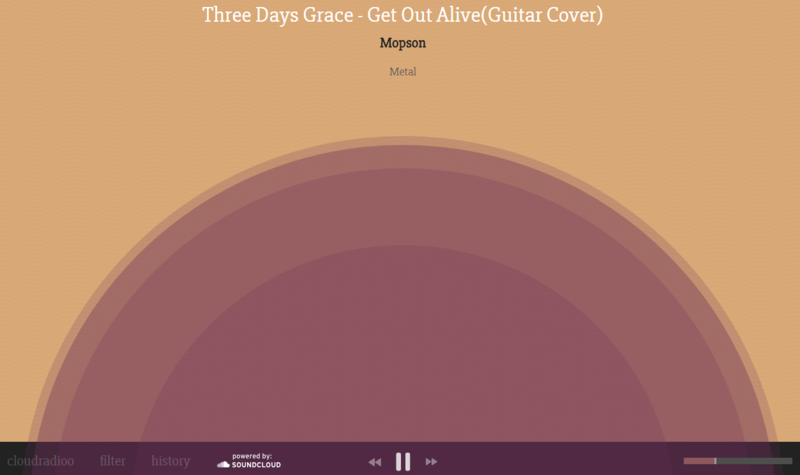 Cloudradioo is an open source app, for modern browsers, which lets you listen to songs through soundcloud. It is built on top of Laravel and Vue.js (with Vuex). A beautifull and simple design. It also offers a desktop version, built with electron.